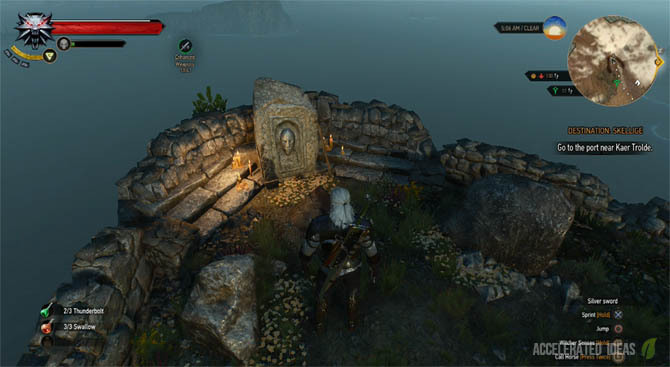 The Feline (Cat School) diagrams are well hidden in the Witcher 3 world and for good reason. Although the Bear school might be the strongest for pure melee protection and brute force power, the Feline armour set provides superior speed from its Stamina bonuses. In this tutorial I'll show you the exact map locations for every Feline upgrade diagram including Enhanced, Superior and Mastercrafted versions. The main areas of exploration consist of the Skellige Islands, Velen and Novigrad. Some pieces are sneakily hidden in caves or behind monsters guarding the area so be prepared for some detailed exploration. Before embarking on this treasure hunt I recommend you complete the core Scavenger Hunt to actually earn the Cat School armour set first, otherwise you'll have nothing to upgrade. Players may also want to consider leaving this treasure hunt until later in the game when the level requirements are met or when the harder battles require the best armour. Ok, here's the list with map images for every upgrade diagram. Note the bright yellow markers I used to highlight the exact location. Located on the eastern side of Velen (No Mans Land), west from Oxenfurt and across the river. The nearest Sign Post is Codger's Quarry but without exploration the nearest explored town from the main quest is Hanged Man's Tree. Take a northeasterly direction and head towards this inactive quarry to claim the enhanced Feline Gauntlets. They're hidden inside the cave area, just under the wooden steps. Hidden inside a cave the Feline Boots are located south of the nearest Sign Post called the Grotto. This is a small location on the map which lies on the eastern shore of Velen, roughly north east from Dragon Slayer's Grotto and Downwarren. Explore the cave area and you'll find the loot not far from the Simpa north entrance. If you reach the end of the cave or you left the south entrance then you've gone too far. To the far east of Velen lies Aerama's Abandoned Manor. It's here where you'll find the chest armour diagram for the Feline school. The best travel point is probably Oxenfurt, discovered during the main quest line. Alternatively you can take the long journey south from Est Tayiar which you discovered during the Treasure Hunts. The exact location is as follows: head to Aerama's Abandoned Manor, follow the path to the manor and venture slightly north to find the diagram up the stairs. Do NOT explore the dungeon called Aerama's lair. Probably the hardest diagram to find, this one is hidden underground in the Whoreson Sewers. To reach this location you'll need to go to Oxenfurt and find one of the sewer entrances. 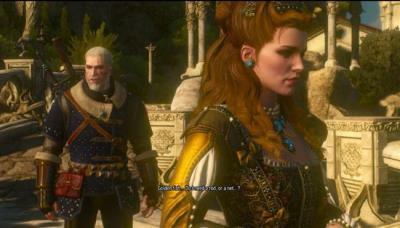 The easiest one to use is next to Whoreson's Mansion which you explore during the the main quest line in Novigrad. Start from the sewer entrance, drop down into the first room and down again into the sewer. Turn left and follow the tunnel through. Turn right into a small circular area, with an enclosed section to the right and another exit to the left which leads to the back of the Blacksmith. Look in this small enclosed area and you'll find the diagram. You'll need to use the lever in the right to open the blocked entrance. In exactly the same region as the Feline Boots and again hidden inside a cave/dungeon. The nearest Sign Post is Reardon Manor or Toderas, but you can easily reach this diagram from Downwarren. Venture into the cave (Treasure Vault) and once inside the first large area the diagram will be on the left hand side. The Silver Sword upgrade is outside of the realms of Velen and back to the cosmopolitan area of Novigrad. The exact location is on the eastern side of Novigrad, just after the entrance from Oxenfurt Gate. To pinpoint the diagrams location, travel across the Oxenfurt Gate into Novigrad, look directly at the first set of buildings you see. Slightly to the left is a merchant, it's the adjacent building to the north of the merchant. Use the ladder outside the building to reach the upper level, go inside and explore upstairs for the chest containing the diagram. Roughly south east of Velen lies Crookback Bog and the fast travel location of The Orphans of Crookback Bog and Dragon Slayers Grotto. A short distance west of these locations you'll find the upgrade diagrams for the Superior Feline armour set. The loot is hidden inside a chest, that's neatly squashed into the corner of a crumbling wall. Beware though, an Earth Elemental patrols this area but if you're quick you can avoid contact. Threats: Level 27 Earth Elemental. South of Novigrad lies the Grassy Knoll area of the Witcher 3. Here you'll find the Sign Post of Drahim Castle which you explored during the Scavenger Hunts. To the south west of Drahim Castle there's an extensive woodland area with a cave/dungeon in the middle. It's inside this cave that you'll find the Superior Silver Sword diagram. For the exact location: explore the cave (Ursten Cave) until you reach the large, circular area where the cave branches off east and west like a hammer head. Explore the right tunnel and at the end you'll find the diagram. The Steel Sword upgrade for the Feline set lies to the very north of the entire Velen/Novigrad region. The closest Sign Post is called Cavern but you can easily venture here once you've reached Novigrad. 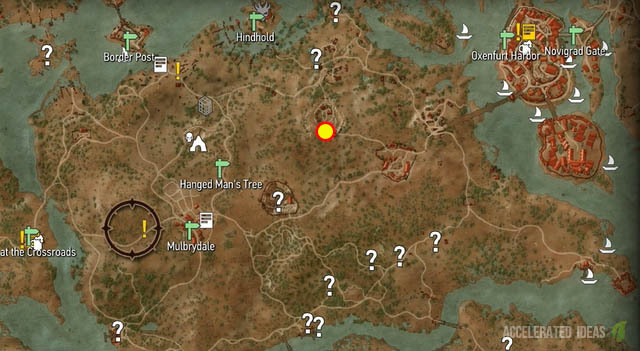 Exact location is as follows: cross the eastern shore on the northern Novigrad island, head north towards the Cavern Sign Post and walk slightly north again until you find the dungeon called Smuggler's Den. Head inside the cave area and stick to the left hand side. Roughly a third of the way into the cave is the diagram. Threats: Level 23 Armored Arachas (hillhide), Level 19 Golem inside the cave. In the middle of the main Skellige Island lies Kaer Gelen, an old fort ruins. There's a Sign Post at this location but you can also reach this diagram from Rogne by riding round the side of the mountain range. The area we're interested in sits at the back (north) of the Kaer Gelen ruin. Enter the dungeon and make your way to the route leading upstairs, check the tiny room immediately on the left side for the upgrade diagram. There's no need to venture further upstairs unless you're interested in the extra loot (Assasin's Trousers). Threats: Level 29 Wraiths, Level 29 Katakan Vampire (optional, see walkthrough video). On the southern Skellige Island you'll find the mastercrafted Silver Sword diagram, hidden underground in a small cave. Preferably start from Harviken and head east towards the Troll Treasure Cave entrance. This cave is far simpler than the others in this walkthrough so venture inside and follow the right tunnel round to the end. Use Aard to break the wall and you'll find the diagram inside the small room. On the same southern island as the mastercrafted Silver Sword diagram, this upgrade is also hidden underground in a cave. This time around it's a Wraith Treasure Cave and the entrance is on the southern shore, south of Trottheim. Enter the cave and walk forwards (do not turn), walk through the larger cave area and into another passage straight ahead. About halfway into this passage you will find the diagram.